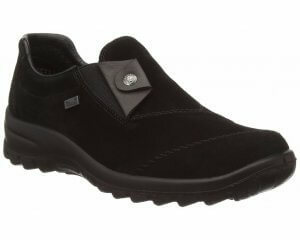 Clarks Willis Time Bl smart boys school shoe. 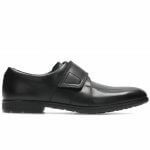 An elongated toe and stitch detailing will add a formal look to any school uniform. 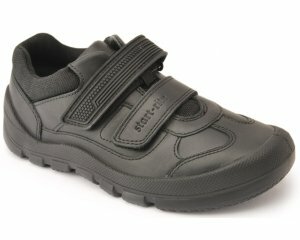 The velcro fastening allows for adjustability and a secure fit when walking, as well as allowing the shoe to be slipped on and off with ease. 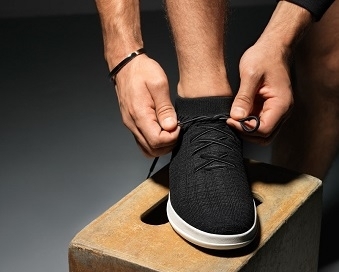 A slim rubber sole with a slight heel adds to the formal appearance of the shoe, while Agion linings help keep feet fresh all day. Stylish and smart, Clarks Willis Time Bl is available in black leather from a size 3-8, F and G width fittings. 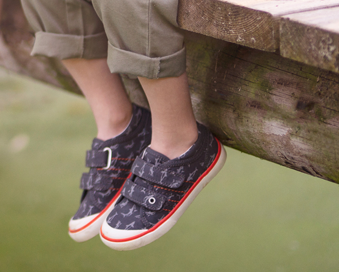 Smaller sizes are available, see Clarks Willis Pace Jnr.